It is time to leave this place in the dust where it belongs. TDA is in the past, and the future is now. All ranks and groups have been deleted. Anything that made you anything in this place is gone. If you are interested in a new place to call home then look no further than the future. 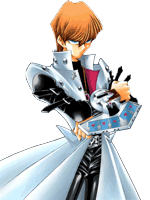 I give to you Kaiba Corp Duel Academy. Simply follow the link below and you will be taken to my newest creation.